Many Reasons. One Choice. Marshall Medical Centers serving Marshall County and surrounding areas. Marshall County and surrounding areas have enjoyed the benefits of community-owned healthcare for decades. 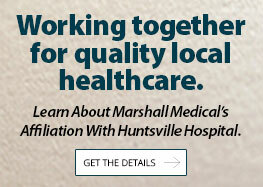 Now as an affiliate of the Huntsville Hospital Health System, Marshall Medical continues that tradition with an even stronger foundation. Whether you need to find a doctor or want to start a fitness program, we invite you to explore the many reasons Marshall Medical is your convenient choice for quality healthcare. 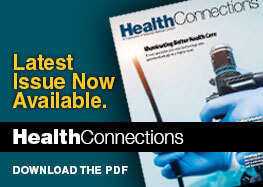 Emergency room visitors with life threatening conditions are seen immediately - click to learn more. In case of emergency call 911. Senior Health & Fitness Day is coming up!